Recently I visited Auroville, a town dedicated to explore a more integral human development, a town that honors arts, generosity, inner progress, sustainability, intercultural respect, technological progress, beauty, altruistic relationships, philosophical knowledge, alternative education, social innovation and so on … In my experience, Auroville already manifests an entirely different Development model, oriented towards inner transformation and altruism as the base for human relationships. 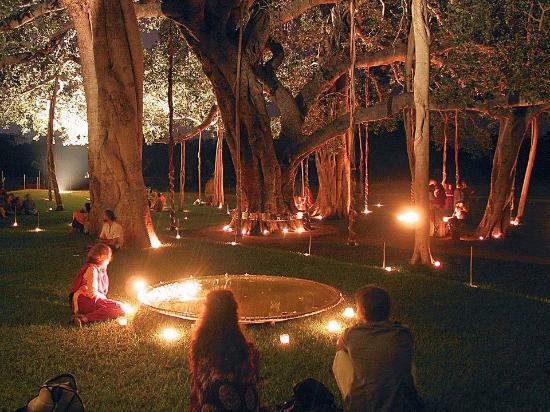 For some context, Auroville started 50 years ago as an experiment to manifest A Dream on earth. Inspired by Sri Aurobindo and Mirra Alfassa, Auroville is dedicated to Unity in Diversity, to the upliftment of humanity through a experiment of experiments that aims to bring about more harmony and integral progress to the human experience on this planet. There is lot’s to explore and analyze and it’s not possible to make such deep analysis in an article like this, but I just felt like sharing some thoughts with you as an open reflection in the hope that this will ignite some further thoughts and experiments :). One of the realizations of Auroville, is that City Architecture is essential for happiness. I could feel it in myself. I could go everywhere by bicycle or walking. While ‘commuting’ all I saw was vegetation and beauty, a great forest which has a story of its own, or beautifully made buildings designed to uplift human spirit. 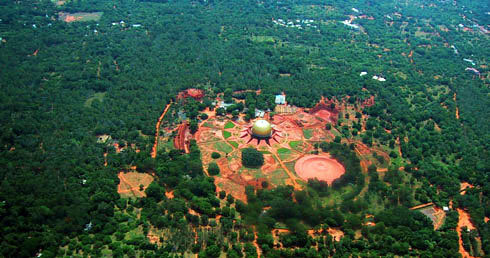 The planned size for Auroville is less than 10 kms of diameter, which allows an ecological and human-logical development, aimed to foster sustainability, inner transformation, relationships and outer beauty. We believe society is given by Nature, or God, and many times we forget that consciously or unconsciously, it has been designed by humans. All the systems we are part of (Water, Food, Transportation, Internet…) have been designed. We live in systems which have been designed for profit, because our later economical paradigm tells us that when you think of your own profit and others think in their own profit then society will find Greater Good; since everyone is taking care of themselves, then society is taking care of itself. But this appears more and more as an untruth. We have been experimenting with this paradigm for many centuries in different cultures, but more prominently last decades in our global westernized culture. And what we see falls far away from the promised land of a society designed from the lenses of self profit. 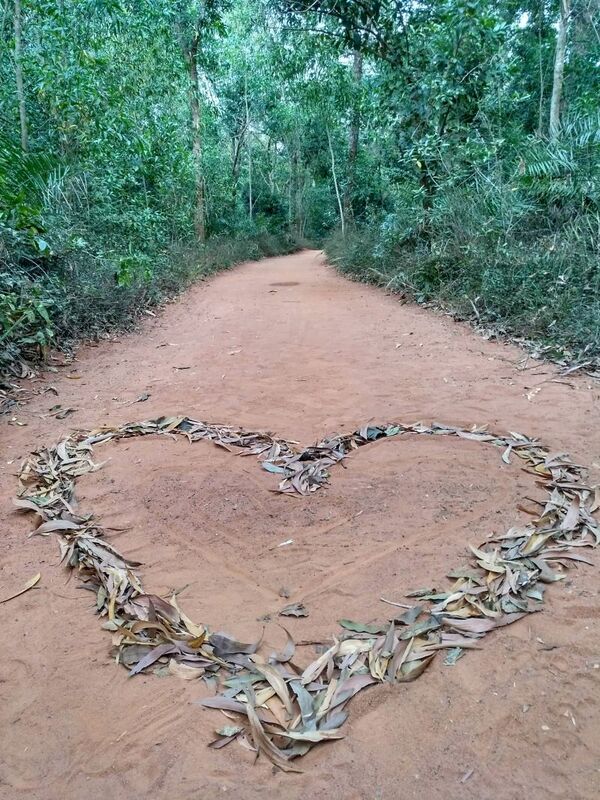 It is this unconditional giving one of the most touching and surprising experiences we had in Auroville. I organized a journey to India for 7 people and Auroville was on the plans. For some years now I have been experimenting with gift-economy and trusting more and more than when you follow your heart then life takes care of the rest. 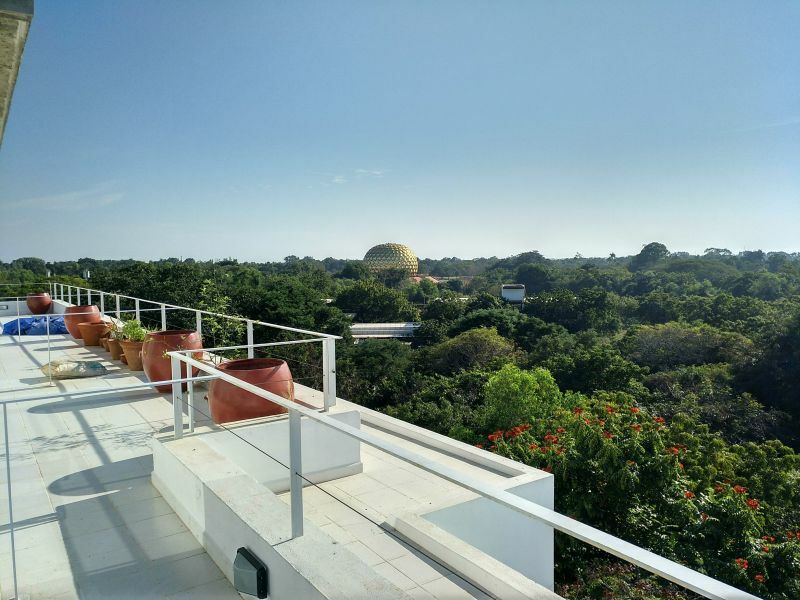 We had spent one week in Ahmedabad and our next step was Auroville. 3 days before arriving I could have rented a place to stay, but something told me to just trust and go there without having arranged accommodation previously. This was a huge jump of faith since I was not traveling alone and the rest of the group depended on me for that decision. 2 days before I contacted a friend of mine living in the area, and he agreed to give us a talk on Auroville and some initial information for our journey. Some more people were present in that inspiring conversation, and moved by it (and probably more) one of them told us: ‘Where are you staying? 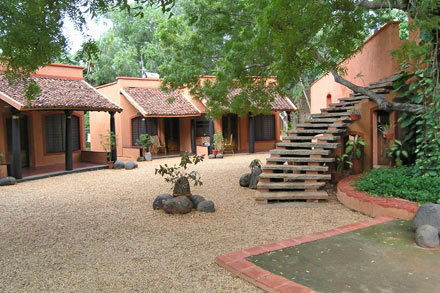 Would you like to stay in Auroville? I am managing one hostel there’. I could feel the offering was coming from a very pure and unconditional space so we ended up saying yes and moving to Auroville in couple of days. We were offered a lot of love and friendship and also a place to stay at the expectation of nothing. Not the whole of the town works like that, especially for tourists, but we had a glimpse of the intended generosity and cashless society which is there at the roots of the experiment. We ended up having a very deep experience of the town, being in touch with many locals, and getting a great exposure for the short time we had.